A recent IRS clarification has been widely interpreted as reopening a loophole the agency had proposed closing just weeks earlier. Specifically, the IRS’s announcement creates the potential for tax avoidance by pass-through businesses (S-corporations, partnerships, etc.) located in states that offer large charitable donation credits, including credits for donating to private K-12 school voucher funds. The clarification appears to have been a pet project of Sen. Pat Toomey (R-PA), who both predicted the announcement and was ready with a statement praising its release. But while the announcement creates an opening for aggressive tax avoidance in many states, Pennsylvania, ironically enough, is not currently one of them. A sensible provision in Pennsylvania law prevents businesses from exploiting the provision that Sen. Toomey championed. More on that later. For years, some high-income charitable donors have effectively turned a profit by claiming multiple tax breaks that, when taken together, are worth more than the amount donated. Historically, this has usually occurred when private K-12 school voucher donors claim state tax credits and federal charitable deductions in return for their gifts. But a surge of interest in state charitable donation tax credits—tied largely to state efforts to work around the new federal tax law’s $10,000 cap on the state and local tax (SALT) deduction—has recently broadened the loophole’s reach to other states and programs. Last month, the IRS proposed ending this tax shelter by introducing a more commonsense measure of charitable giving into the federal tax code. Under the proposed regulation, taxpayers who see a large portion of their donations reimbursed with state tax credits would not be allowed to pretend that those donations came out of their own pockets. The charitable deduction they claim on their federal tax forms would be either reduced or eliminated, depending on how much of their donation was reimbursed by their state government via tax credits. But the IRS announcement raises the possibility of a workaround: rather than trying to write-off those donations as charitable gifts, why not write them off as business expenses instead? Specifically, the IRS clarified that the business expense deduction would be “unaffected” by its proposed changes to the charitable deduction. While the announcement itself carries little legal weight, it is important as an indication of the position that the IRS will take when reviewing these types of donations. And in an accompanying announcement meant to reassure private schools and donors to voucher programs, Treasury Secretary Steven Mnuchin stated that the proposal “has no impact on federal tax benefits for business-related donations to school choice programs.” The announcement has since prompted much head-scratching about when a contribution to a school choice program might, or might not, be business-related. There are at least two hurdles to labeling a contribution to a charitable organization as an “ordinary and necessary” business expense, as opposed to labeling it as a more familiar charitable gift. First, the contribution must be “made with a reasonable expectation of financial return commensurate with the amount of the transfer.” For example, a travel agent was once allowed to deduct her contributions to charities as business expenses partly because she “had reason to believe that some of her charitable clients would have ceased doing business with her if she had not continued to make such payments.” In the current context, one of the most significant lingering questions is whether the IRS will consider state tax credits a “financial return.” If credits do count, then it will be very easy for businesses to show that a donation that earned them a hefty state tax credit (sometimes worth up to 100 percent of the amount donated) generated a financial return. Even if the credits do not count, however, there have been numerous instances in which businesses have convinced the IRS or the courts that their contributions to charitable organizations were expected to generate a financial return. Second, the contribution must also “bear a direct relationship to the taxpayer’s trade or business.” At first glance this appears to be a daunting hurdle for private school voucher donors. How many businesses can claim that paying the Catholic school tuition of first graders, for instance, is directly related to their business? But this provision has been interpreted quite broadly in at least some instances. A grocery store chain contributing 1 percent of its sales to various charities and churches, for instance, was once allowed to write off those contributions as “goodwill advertising which keeps the taxpayer’s name before the public” because it advertised the contributions on the radio and elsewhere. Businesses donating to support private school vouchers also frequently advertise their contributions, and it is not difficult to imagine those advertisements becoming more common if they can help businesses secure federal tax deductions for their donations. Opinions differ about how easy it will be for businesses to prove that their contributions to private school voucher funds, and other programs, are legitimate business expenses. But some tax accountants are already interpreting the statements from the IRS and Secretary Mnuchin as evidence that these deductions will be within reach. Herebin CPAs, for instance, is already telling its clients that “Unless the IRS later retracts or alters this clarification, for now it seems safe to assume that businesses … can fully deduct those payments as ordinary and necessary business expenses.” Another CPA has written that one of his pass-through clients will now receive a full deduction for their private school voucher contributions because of the clarification. Both of these CPAs happen to be based in Pennsylvania. Both also happen to be wrong. While their advice might hold up in most states with private school vouchers credits (additional IRS clarification on this question is desperately needed), Pennsylvania is not one of them. (b) Activities.—No tax credit shall be approved for activities that are a part of a business firm’s normal course of business. In other words, a contribution that counts as an “ordinary and necessary” business expense for federal purposes will be federally deductible, but that type of business transaction is likely ineligible for Pennsylvania’s state credit. 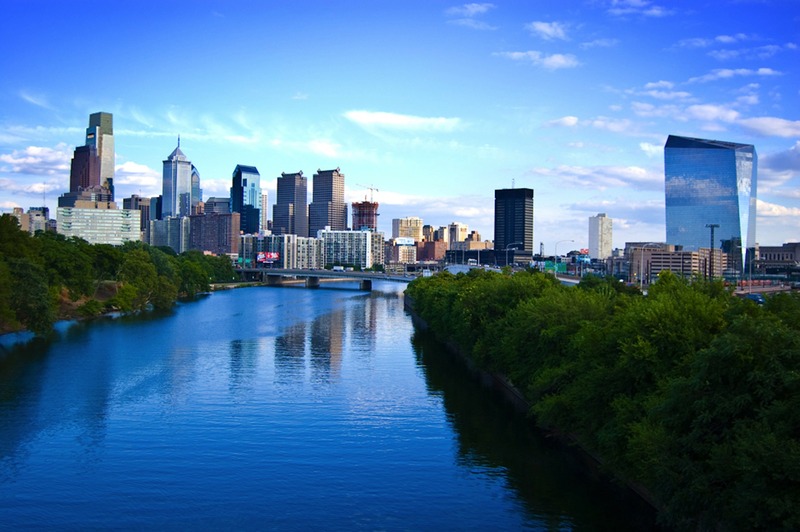 The Pennsylvania credit was not intended to serve as subsidy (typically 90 percent of the contribution) for business advertising campaigns. (d) No credit shall be taken under this Act for any qualified contribution for which the taxpayer claims a federal income tax deduction. No tax credit shall be approved by the Department of Education for activities that are a part of a person’s normal course of business. But an ITEP review of state voucher tax credit statutes revealed that similar restrictions are not present in the other states that offer personal income tax credits to pass-through businesses. The Arizona businesses that flocked to the state’s private school voucher credit over the summer, for instance, will presumably do so again in 2019 if their accountants are able to devise a credible strategy for labeling private school contributions as business expenses. The bad news is that the IRS has muddied the waters, apparently at Sen. Toomey’s urging, with a clarification that even the Heritage Foundation has described as reopening the door to “undue tax benefits” for pass-through businesses. The good news is that, at least for now, this loophole will not be exploitable in all states, including Sen. Toomey’s home state of Pennsylvania. But the most troubling part of this IRS clarification is its long-run impact. Pennsylvania law could eventually be changed to allow pass-through businesses to exploit this federal tax shelter, and other states could enact tax credits for donating to private schools or other causes that would offer their residents a similar tool for slashing their federal tax bills. The IRS has recently given a great deal of thought to how best to administer the charitable deduction when taxpayers see their contributions reimbursed with state tax credits. It is vital that the agency undertake a similar effort in the context of the business expense deduction; failing to do so would create an opening for some businesses to sidestep new charitable deduction regulations by labeling their contributions as business expenses instead.